Over the last twenty years I’ve made White Lightning Chicken Chili countless times following a recipe originally published in Southern Living magazine in the early 90’s. 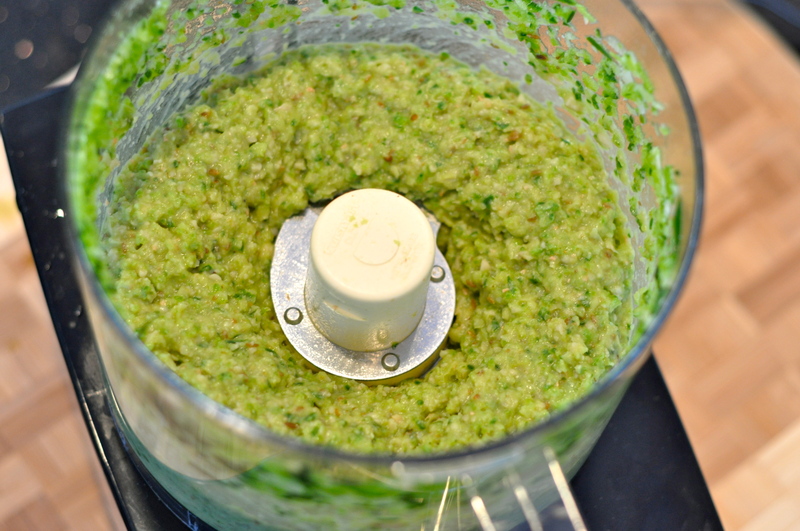 The recipe calls for 2 cans of chopped green chiles. It is fine, not great. Utilitarian of sorts, but not anything I’d tout in my blog. Just recently I came across another white chili recipe in The America’s Test Kitchen Cookbook (the Cook’s Illustrated folks). 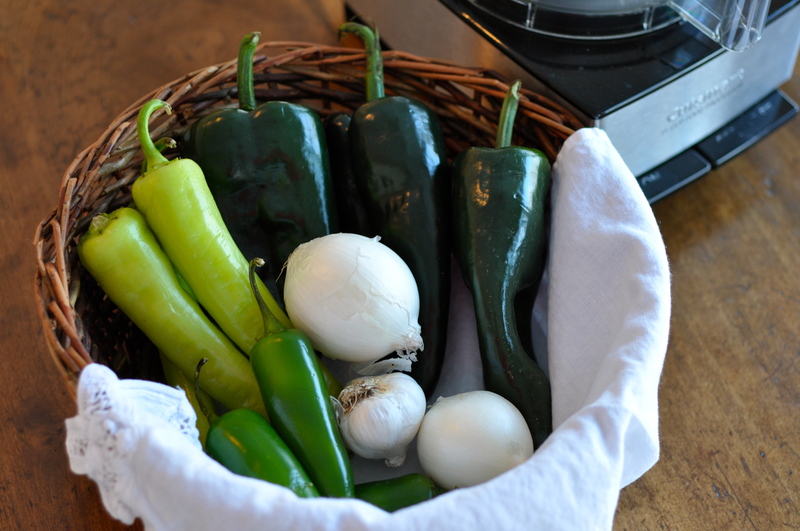 This recipe uses fresh chili peppers (poblano, anaheim, jalapeno) instead of canned. The fresh peppers made an astounding difference in the chili. It gave it a freshness pop and depth of flavor I had been missing all these years. Here is the rendition to tout! 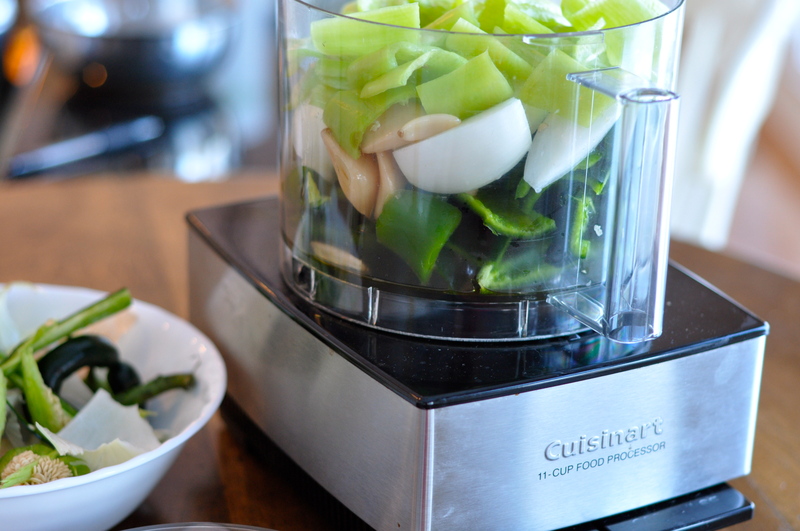 Put the poblano, anaheim and jalapeno chili peppers, onions and garlic into the Cuisinart. The chili peppers should be stemmed, seeded and cut into large pieces. Onions should be skinned and cut into large pieces. Crush the head of garlic into six individual cloves of peeled garlic. Add 2 TBSP olive oil to Dutch oven over medium heat. 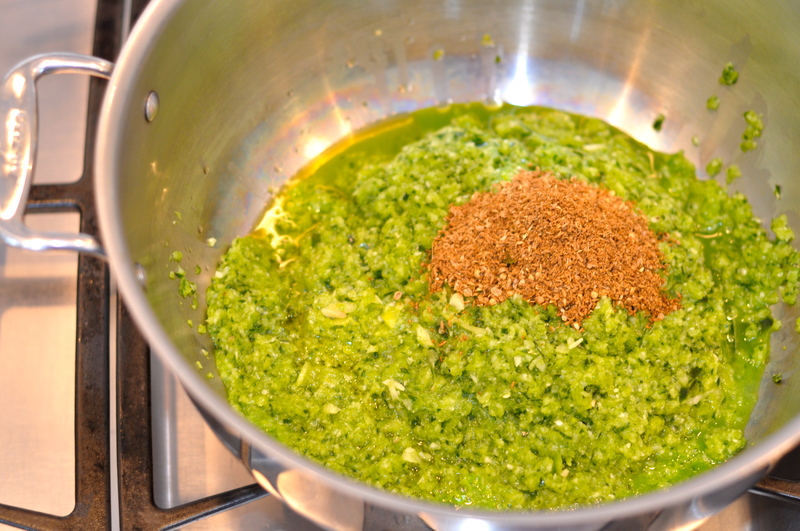 Add the minced chile-onion garlic mixture from the food processor bowl along with the spices (cumin, coriander, ground cloves and white pepper). Salt to taste. Cover and cook, stirring occasionally, until vegetables soften, about 10 minutes. Remove pot from heat. 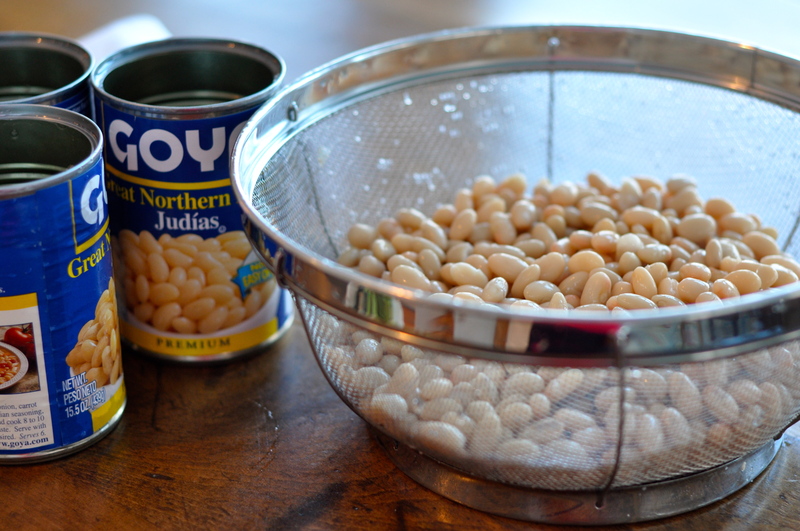 Rinse and drain 3 cans of white beans. Add to chili. Now here is a trick to make scrumptious chili and soups. Transfer one half of the chili mixture back to the now empty food processor bowl. Process until smooth, about 20 seconds. Add back into the chili. When added back to the dutch oven this puree will add extra flavor, depth and texture to the chili. 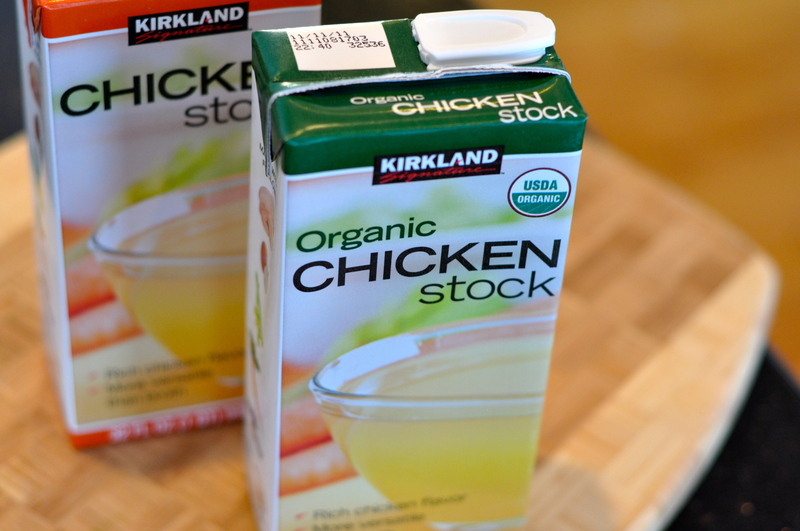 It will also help thicken it. Reduce heat to a simmer and cook for about an hour. This gives a chance for all the flavors to develop. Feel free to add a few dashes of hot sauce if you want it spicier. Salt to taste. The chili will get thicker and the flavors will intensify as it simmers. For even thicker chili feel free to take more of the chili from the dutch oven, puree it in the food processor and add it back. About ten minutes before it's time to eat add the shredded cooked chicken. (If you add the chicken too soon it will get overcooked and tough). 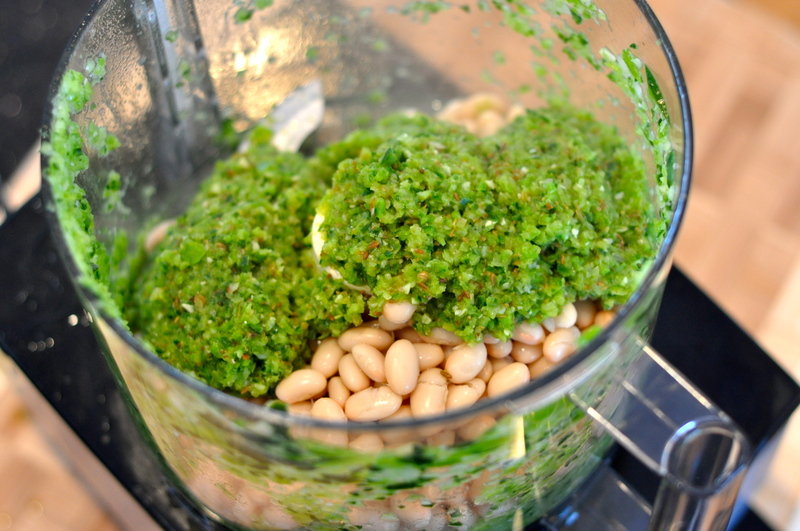 Once off heat finish with fresh cilantro, lime juice and scallions if desired. Enjoy!! Into the Cuisinart: chili peppers stemmed, seeded and cut into large pieces. Onions skinned and cut into large pieces. Head of garlic crunched then six individual cloves of peeled garlic added. I had to show this cute picture! 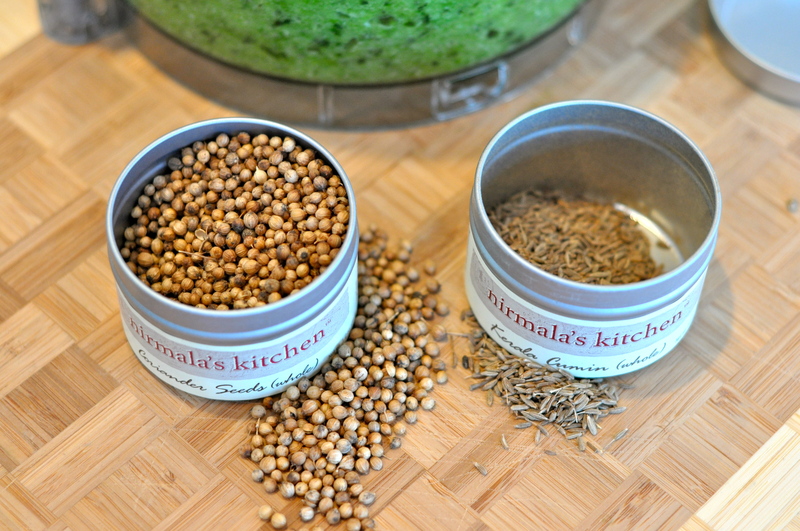 My friend Iwona gave me fresh cumin and coriander seeds for a Christmas present. I crushed them in a spice mill to use in the chili. Of course you can use already crushed store bought spices in this recipe. Now here is a trick to make scrumptious chili and soups. Transfer 1 cup of the cooked vegetable mixture to the now empty food processor bowl. Add 1 cup of the beans and 1 cup of the stock. Process until smooth, about 20 seconds. 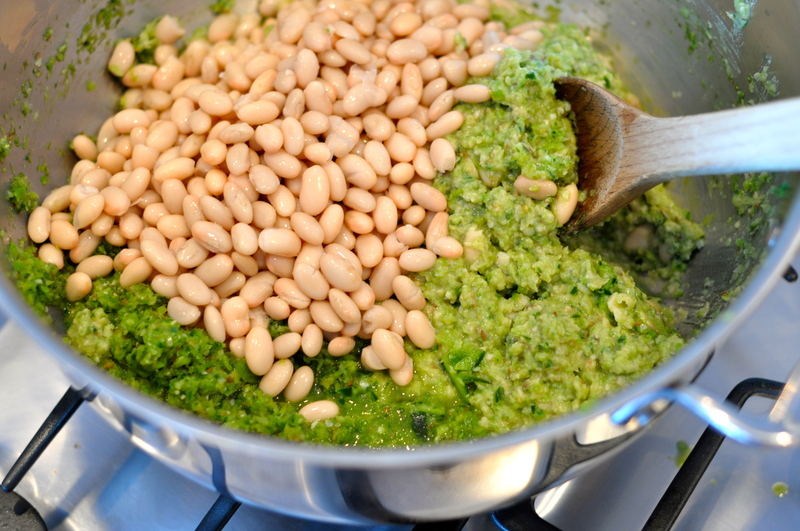 Add the pureed vegetable-bean mixture, the remaining 5 cups broth, and rest of beans back into the Dutch oven. Reduce heat to a simmer and cook for about an hour. This gives a chance for all the flavors to develop. Feel free to add a few dashes of hot sauce if you want it spicier. Salt to taste. The chili will get thicker and the flavors will intensify as it simmers. For even thicker chili feel free to take more of the chili from the dutch oven, puree it in the food processor and add it back. About ten minutes before it’s time to eat add the shredded cooked chicken. 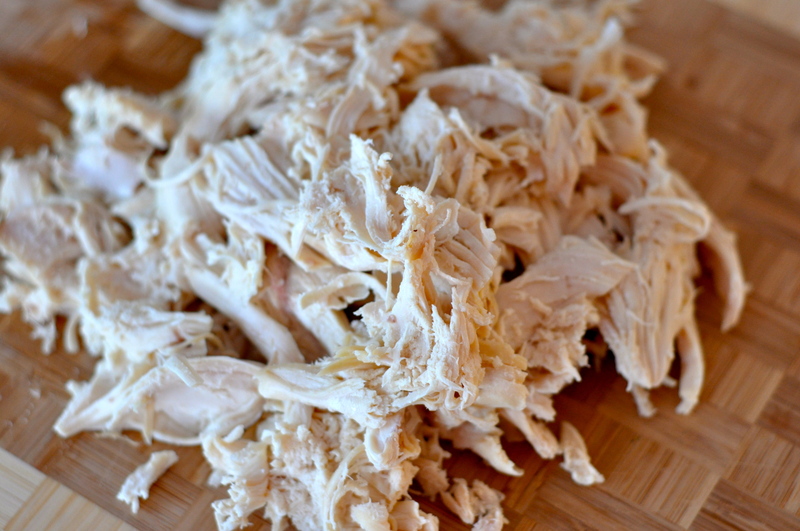 (If you add the chicken too soon it will get overcooked and tough). 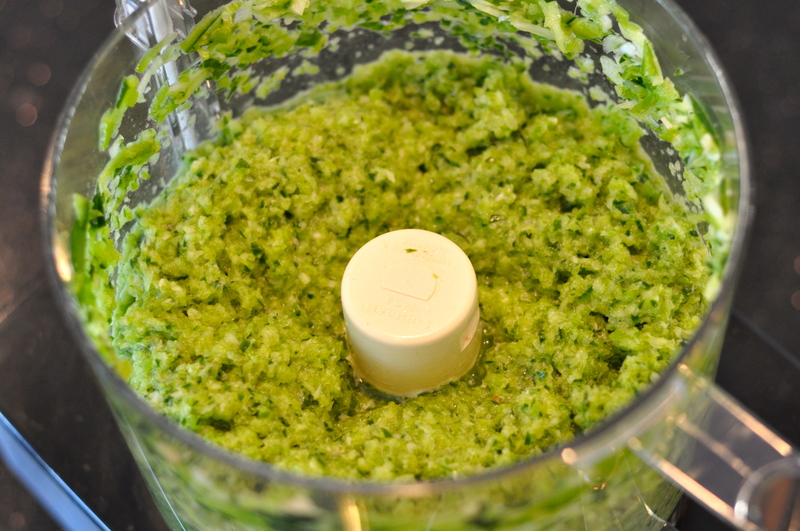 Once off heat finish with fresh cilantro, lime juice and scallions if desired. Enjoy!! I was actually going to go on a search for a White Chicken Chili! Need not look any further! Kim let me know how it tastes!! Ooooh, this looks so perfect! 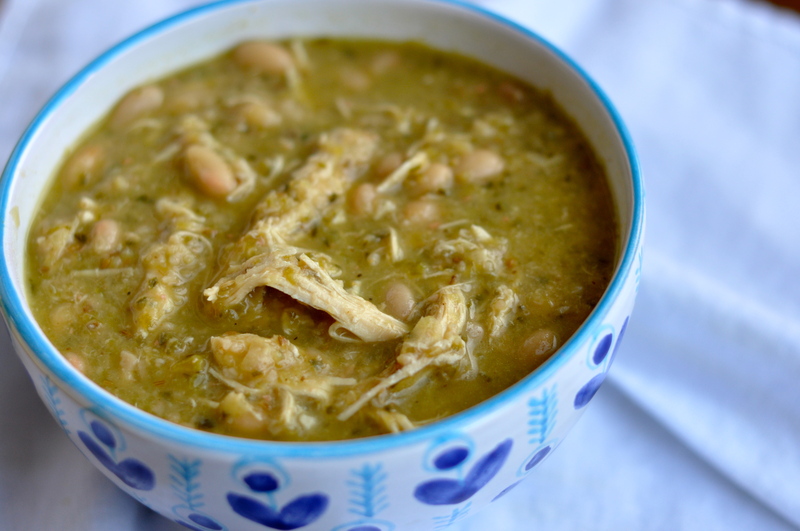 I’ve been wanting to revamp my white chicken chili recipe for a while, but I haven’t stumbled upon any recipes that I’ve liked. This really sounds absolutely wonderful! I bet you’re probably right that the fresh peppers work wonders. Trying this out soon! Carrie you can use your delicious roast chicken for the chili! Mmmmm. Yummy. I’ll be right over! My daughter Meggan loves white chili but I have felt the same way about my recipe. It was just there lacking something that I could not put my finger on. She is coming home from school in a few weeks and I can’t wait to try this recipe for her. She will be excited. Thanks Nancy! I hope she enjoys it! My kids loved it. I’m making this TOMORROW! Sounds amazing! Thanks! It will be a perfect dish for weathering the blizzards!